NORTH CANTON, Ohio, Jan. 14, 2019 /PRNewswire/ -- Diebold Nixdorf (NYSE:DBD), a world leader in driving connected commerce, has partnered with Duty Zero by cdf to enable a digital customer experience for six stores within the Hong Kong International Airport (HKIA). Duty Zero by cdf is the retail brand of the China Duty Free Group (CDFG) and Lagardère Travel Retail joint venture in HKIA. To increase convenience for travelers who may not have time to shop or do not want to carry bulky items while traveling, CDFG partnered with Diebold Nixdorf to launch a customer-facing mobile app powered by the digital retail capabilities of DN Vynamic™ software. The app allows incoming travelers to pre-order food and liquor up to three days in advance and collect from Duty Zero by cdf's pick-up counter at HKIA's arrivals hall. The service will be soon extended to departures. 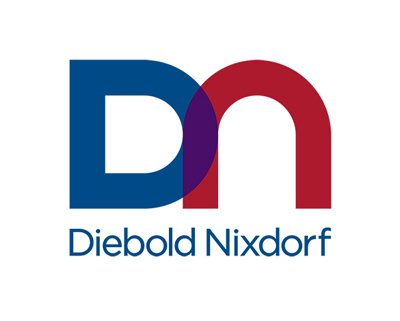 The Diebold Nixdorf solution connects digital shopping to the physical stores, offering CDFG's customers a seamless shopping experience. To take advantage of the pre-ordering service, customers can download the mobile app and choose to pay at the store by cash, credit card, AliPay or WeChat. Customers are guaranteed a hassle-free shopping experience since items are available for ordering and pick-up 24 hours a day, seven days a week. As an extra incentive to use the mobile app, China Duty Free offers online customers the same promotions that are in-store and plans to offer app-exclusive promotions for special occasions. "The Duty Zero by cdf customer app is one of our greatest achievements, and we firmly believe it will not only drive customer engagement and satisfaction, but also generate additional sales," said China Duty Free Group President Charles Chen. For even more convenience and speed pre-orders, checkout can be completed entirely mobile by store associates' via handheld devices running Vynamic POS. Since shoppers approve and pay with their smartphone in a fraction of time anywhere in the store, CDFG is better positioned to serve the needs of hurried airport passengers. Diebold Nixdorf's leading solutions directly address retailers' increasing need for transformative technology to support a radically changing retail landscape. The company's DN Vynamic™ Retail Software Suite has accrued multiple acknowledgements from top analysts since launching in 2017. The "Forrester Wave™ Point of Service Q3 2018" recognized Diebold Nixdorf as a Strong Performer. According to Forrester, "Diebold Nixdorf offers excellence in store operations [and] demonstrated impressive back-office and POS maintenance capability […]." Diebold Nixdorf received the highest score among all participating vendors in the "product strategy and vision" criterion. The company was ranked in the Top 5 both within RBR's Global POS Software 2018 study and IHL's Retail POS/mPOS Global Software Market report 2018. "Our solution connects multiple systems that work together to create a seamless shopping journey for travelers," said Bernard Grellier, general manager, Retail Solutions at Diebold Nixdorf. "With the Vynamic Checkout and Vynamic Mobile Retail solutions, we enable China Duty Free Group to stay connected with its consumers at all times." CDFG is the leading duty free operator in China's duty free industry after over 30 years of rapid development, now operating 248 duty free stores across mainland China, Hong Kong, Macau, Taiwan and South East Asia. Besides operating world largest single duty free shop - Sanya International Duty Free Shopping Complex, CDFG's parent company China National Travel Service Group, is China's largest tourism group following the strategic merger of CTS Group and CITS Group in 2016. As an innovation partner for nearly all of the world's top 100 financial institutions and a majority of the top 25 global retailers, Diebold Nixdorf delivers unparalleled services and technology that are essential to evolve in an 'always on' and changing consumer landscape. The company has a presence in more than 130 countries with approximately 23,000 employees worldwide. Visit www.DieboldNixdorf.com for more information.